Grandmaster Taejoon Lee, 8th Dan of Hwa Rang Do, and son of the founder, Dr. Joo Bang Lee, presents a comprehensive introduction to Gumtoogi, the Hwa Rang Do Sword Fighting. In swordsmanship, in a duel, it is about life or death, not winning or losing. There's only one price for a mistake "death"; there are no do-overs. This is the true warrior's mind-set. Gumtoogi is the best way of cultivating this "Warrior Ethos", "The Hwarang Spirit!" Another way we like to think of it as: "One Cut, One Life!" In the search of creating a modern sport venue of weapon fighting that aligns with the comprehensiveness of the Hwa Rang Do curriculum, we seriously looked into the possibility of adopting an existing weapon fighting system with its equipment and armor. Thereby we have decided to use the Kendo/Kumdo armor by adding a modification in the form of a leg protector (Hache Hogu), that allows for leg strikes as well as spinning cuts, and incorporated the rotational strikes to make it unique to our Art of Hwa Rang Do. In addition, we practice fighting with all sizes, variations and combinations of swords (made in bamboo) as well as incorporating a wide range of movements and techniques. 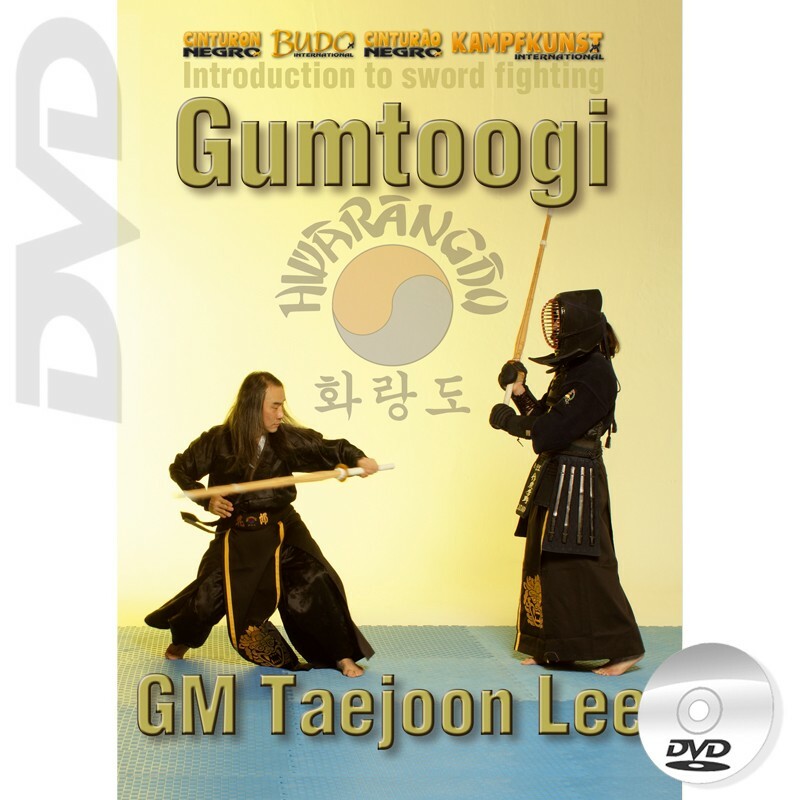 In this DVD, Grandmaster Taejoon Lee explains in detail the bases of stepping, distancing, basic strikes to head, wrist, waist and legs, spinning leg strike, counters and an introduction to Ssang-gum, Twin Swords.